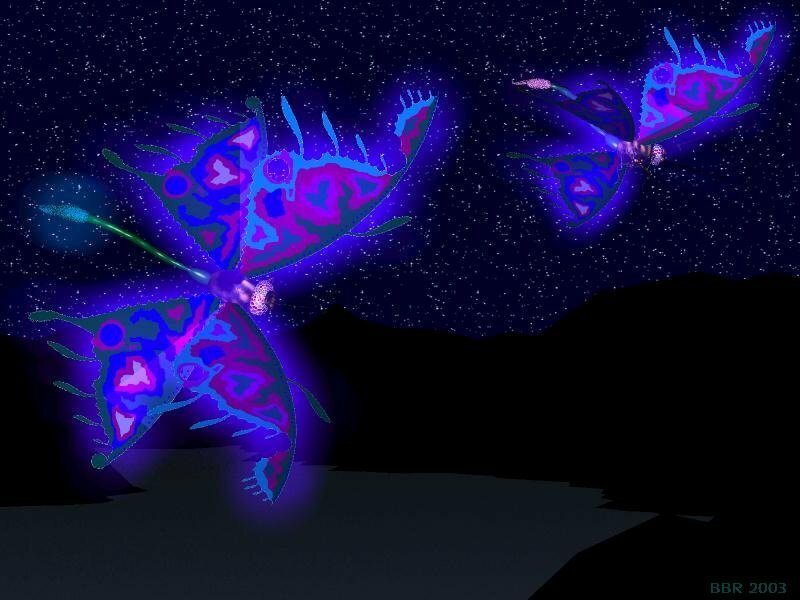 On a warm spring evening, nightflies dance in the air above a mountain lake. Inspired by the tune, The Nightfly, by J Lind. Created in Cinema 4D and MS Paint.